State agencies collaborate to recognize the 100th anniversary of the U-S entering World War One. The red poppy has been used as a symbol to commemorate war dead since World War 1, inspired by the poem “In Flanders Field” written by Canadian Army officer John McCrae during the war after he noticed the poppies blooming around mass graves of soldiers on battlefields. The United States experienced over 50,000 war dead during the First World War, nearly 2400 of those soldiers from North Carolina. 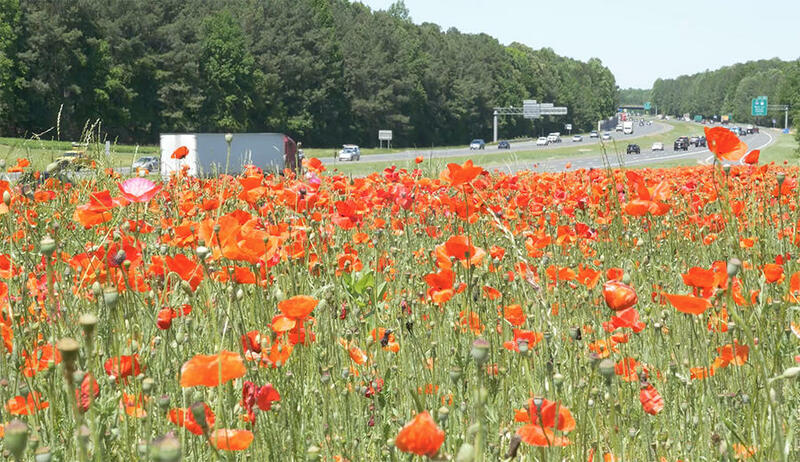 In honor of the 100th anniversary of the U-S entering World War I, the departments of Transportation and Cultural and Natural Resources have partnered to plant red poppies along state highways as part of the Transportation Department’s Wildflower Program. The state DOT has maintained flower beds in each of the state’s 14 highway divisions since 1985. I’m George Olsen.